yes! 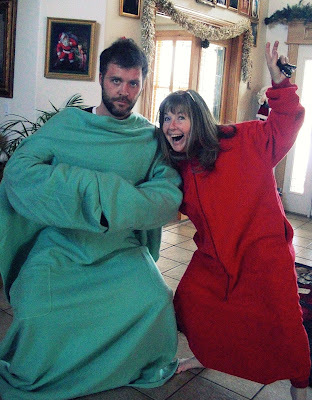 i just got a snuggie for my birthday. love the pic. I love your ...mom? Older sister? Well, I love that you both look like wizards. That's my ma, yes. Her version of the Snuggie looks like the lowest hanging Hammer pants I ever did see (and she can carry stuff in them if she wants).